Sometimes you just want a bottle of wine, some cheese and salami, and some crackers to tie all together and wind down a long work week. Enter the Wine Down Box (you see what they did there?) and add a little classy fun to your Friday nights — or someone else's as this makes a great gift! The wines have been excellent, and the pairings with the cheeses have been spot on. For how much hype there is around wine-and-cheese pairings in general, it's actually not that easy to pull off. And of course, we're suckers for salami. We're actually not fans of the crackers that come with this box. They're difficult to put a piece of salami and/or cheese on top of, so they're relegated to nibbling between bites of the other stuff. This is NOT a reason to avoid this otherwise awesome wine and cheese club. A Wine Down Box membership costs $63.00 for 1 bottles of wine. Free shipping plus sales tax where applicable. The price per bottle, with shipping, ranges from $63.00 to $70.00 depending on how you configure your membership. Wine Down Box is a new wine box service combining wine with cheese and charcuterie pairings — in the box! 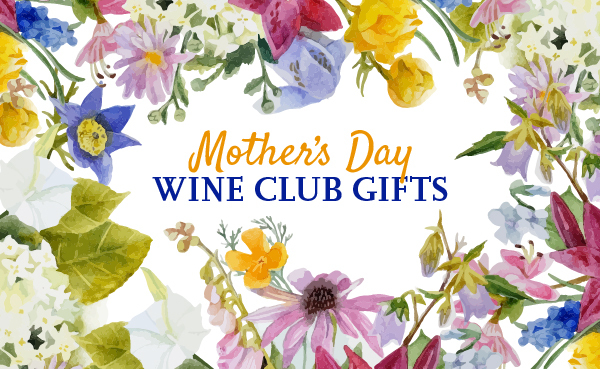 We're super excited about adding this wine club to our website because it's unique and affordable, and it makes a super-awesome gift. It might seem like a gimmick on the surface, but honestly, we have impressed with all three shipments we received — the wine is good, the pairings are excellent, and we look forward to the little party we throw ourselves each time a Wine Down Box shows up. James Family Cellars 2012 Stony Point Vineyard Pinot Noir from Sonoma paired with Alle-Pia Finocchiona (Salami) and Lionza Swiss-style Cheese from the Fiscalini Cheese Company. Maroon Wines 2013 Reserve Chardonnay from Napa paired with Alle-Pia Finocchiona (Salami) and East Meadow Cheese from Plymouth Artisan Cheese. Cardella Winery 2011 Merlot from Mendota, California paired with Alle-Pia Barolo (Salami) and Garlic Peppercorn Cheese from the Plymouth Artisan Cheese. All of the pairings have been excellent, but that last one... was a wonderful surprise as the wine really tied it all together. We did not expect a Merlot to pair well with the odd-sounding but oddly delicious Garlic & Peppercorn cheese. At WineClubReviews.net we take an objective approach to our star ratings system. Our written reviews are very much subjective, based on our 10+ years of wine club review experience and our own ideas about what good wine and good value mean. The star ratings are based on 11 attributes that we feel define what a wine club should be. Here is how Wine Down Box stacks up on these traits. Note: This rating is our objective analysis of Wine Down Box’s satisfaction guarantee—not our assessment of whether or not you’re guaranteed to be satisfied with their wines. "If you are dissatisfied with your Wine Down Box delivery for any reason, please contact us immediately so we can resolve your concerns. We may make arrangements for a return or re-ship, if appropriate." We found the quality of the wine we received from Wine Down Box's Wine Down Box to be very good. We reserve superlatives for very high-end wine, which isn't what Wine Down Box is about. These wines are higher-quality (and more interesting) than what's available at your local grocery store. These are the kinds of wines you might find at your local wine shop, but probably not as they generally come from small family wineries lacking broad distribution. We've been delighted by the Sonoma Pinot Noir, the Napa Reserve Chardonnay, and the aged Merlot we received via Wine Down Box, and to be honest, it's generally pretty hard to impress us with wine priced under $40 a bottle — we happily drink it as we're not wine snobs, but we know and appreciate great wine when it comes our way. We're huge fans of Alle-Pia salamis and we were before we started receiving Wine Down Box. Artisanal charcutuerie handcrafted on California's Central Coast from pork that's free of hormones and preservatives. Cheese... well, you'd be hard pressed to find a cheese we DON'T like, but these were delicous. Creamy and full of character, paired perfectly with their salami and wines. Plus, we dig that environmentally-friendly wax package from Plymouth Artisan Cheese. It's a little hard to accurately assess how the wines are priced for this wine club. You're not getting just wine, significantly more curation experience must be undertaken, and the packaing is super high-end. Ultimately, we feel it's best value is as a gift to your favorite wine drinker or hard-charger, but it makes a great gift to yourself if you're super busy and need some assistance in doing a Wine Down more often. Wine Down Box periodically offers discounts on their boxes and gifts. You can always find current deals here on WineClubReviews.net. A truly unique wine club subscription, as there aren't any others where the wine and cheese comes in the box together, much less one where you also get salami and crackers. Because Wine Down Box is new, we don't have any customer complaints recorded. We also couldn't find any online. If issues arise, we'll update this review. "At Wine Down Box, we would never send anything to our customers that we personally wouldn’t drink or eat ourselves. Not only do we appreciate incredible wine and food, but we also love getting other people excited about it—and that’s not going to happen with inferior products. As we continue to expand our offerings, we constantly push for the highest standards of both quality and taste." As personalization goes, Wine Down Box is not at all personalized. In this case, that's the right way to go — managing curation of personalized selections would be quite challenging. Wine Down Box has all of the standard online conveniences you'd expect from a modern subscription box service. Wine Down Box could provide more information about the wine, but they supplement their information with details about the salami and cheeses. We think Wine Down Box is one of the best wine gifts you can possibly give, as long as your recipient isn't a vegan or vegetarian, of course. We love the packaging and the contents, but especially that even a wine snob would really enjoy this gift as the wines are top notch.